Whammo! You Hooked 'em! 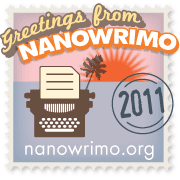 by Julie A. Lindsey | WriMos FTW! I love the extra ZING! NaNoWriMo adds to everything about writing this month. It seems appropriate to begin a Nano novel with an extra SHAZAAM! Doesn’t it? 1. Chapter one needs a sense of immediacy. Don’t start with your character approaching a door to knock on. Start when the door pulls wide and so do your MC’s eyes. Don’t start with the labor pains. Start with the blaring scream of that final push. Make your reader think to themselves “My WORD, what have I gotten into here?” Those are the kind of thoughts that need answers, and only reading the next sentence, paragraph, page, chapter will answer them. 2. No info dumps. We know our characters entire life stories and it can be hard to separate what the reader needs to know and what they don’t. Remember: Most things can be implied, not stated and the rest can be left out. In other words, if the information isn’t necessary to propel your characters forward, forget about it. The reader only needs and wants to know what is immediately relevant. Cut the rest. 3. Engage the reader. The devil’s in the details, as they say. Draw the reader in with things everyone understands, relates too, knows. Add the little ticks and quirks and oddities that make the characters real. Chipped fingernail polish on an otherwise put together woman. No one’s perfect. A crooked nose on a handsome stranger. A lingering look at a desert case from a slim patron. All these details add vision to the reader and depth to the character. Why’s her polish chipped? Nail chewer or house cleaner? How’d such a distinguished man get a nose like that? Was he a college boxer? Was he in an accident? Is he not what he seems at all? How about the skinny person staring at the pie? Hungry? Eating disorder? Or a healthy concern about others eating more than they need? 4. Start your story on the cusp of change. Jump right into the story. Begin where the action begins. Make the most of every word and remember there’s a reader deciding at the end of every sentence, if they want to know more. 5. Create a strong sense of character from the outset. Unite the reader to the main character as early as possible. If he’s careful, show us he checks his shoes are tied twice before beginning his morning run. He scans the crossroad ahead for the last block before he arrives there. Point out the way he listens to the traffic and not music. He thinks there are too many useless accidents thanks to music. Then drop a piano on him. Who can’t relate to preparing tirelessly only to get blindsided? 6. Motivation must be present. A hint or sense of doom or trouble should be nestled in every paragraph. Absurdly long shadows from the crane carrying the piano make the man think it’s later in the day than he realized. However you do it, Make sure Change is in the air in Chapter one. Applying these ideas to your opening chapter will not only grab a reader when the time comes to share your Nano-novel-of-awesome, but it will set up a foundation for intrigue throughout your manuscript and set a precedence for the character’s personality to keep showing through. Do you have any tricks to hook the readers? Do you like to keep them on their toes? I am a mother of three, wife to a sane person and Ring Master at the Lindsey Circus. Most days you'll find me online, amped up on caffeine & wielding a book. My sweet romance novella Bloom will launch the Turquoise Morning Press’s new Honey Creek line in Jan 2012. 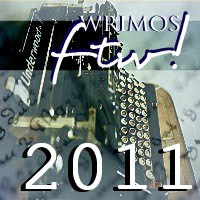 I’ve contracted three novellas for my Seeds of Love series with TMP and will be planting those seeds throughout 2012. My humorous women’s fiction Death by Chocolate will be available for download December 2011, and it hits shelves in April 2012 as the first in my Killer Confections Saga! It's funny, growing up, we learned in school not to judge a book by its cover. Instead, pick it up, read the first couple of sentences, and if you like it keep reading. Otherwise, move on. And even though now I won't pick up a book with an ugly cover, if the first sentence doesn't grab me, I'm not going for that book. Fun and useful post. I couldn't agree more. Your link "blog about books and writing" is 404 Not Found, though, FYI. Danielle! I am SO guilty of that! I've BOUGHT books based on a fabulous cover LOL!! Glad you enjoyed the post & I bet you've nailed your first line! Shelly! Oh boy! I'll be right beside you in December!! So happy you liked the post :) & *thrilled* you stopped to comment! Thank you! Wonderful post. It gives truly amazing advice that I'll be sure to take into account when I finally gather the courage to tackle my novel.